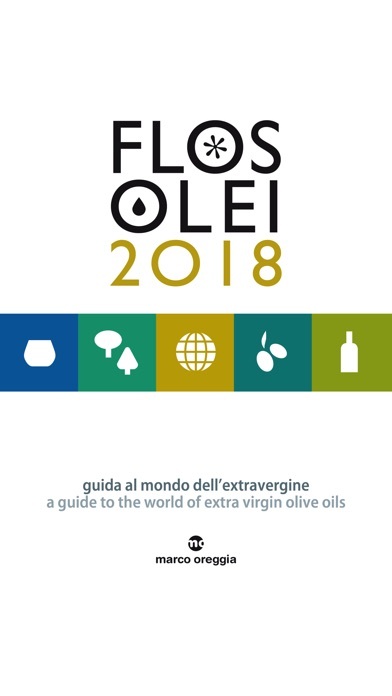 EUROPE version of the first international guide to the world best extra virgin olive oils - realized in the double version, ITALIAN and ENGLISH. This version is dedicated to EUROPE. 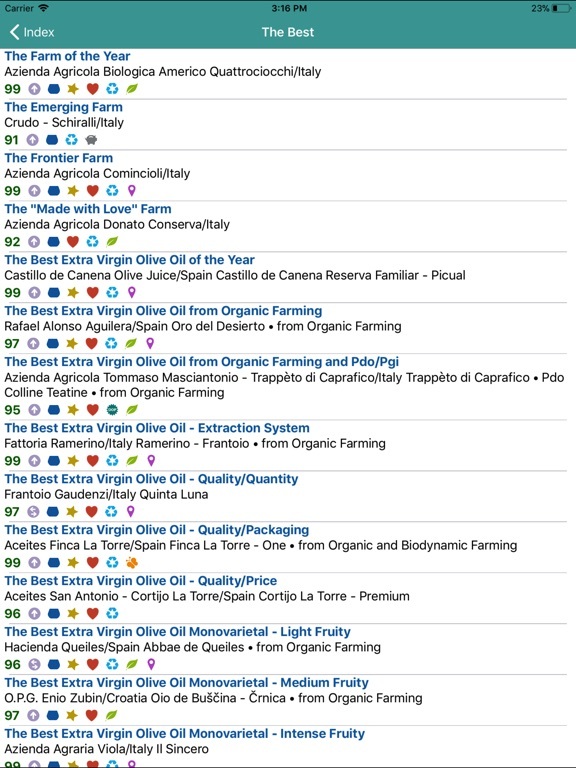 You can wander 15 European countries (including Spanish and Italian regions), read their historical and geographical introductions, find maps and statistical data about their productions and refer to 442 high-quality farms and as many oils described according to their variety, organoleptic characteristics and the best matches. 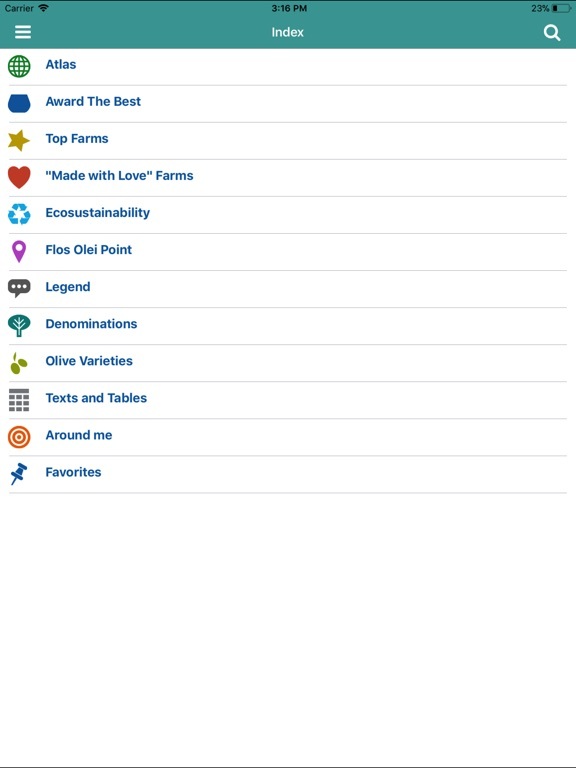 You can get information about the farms included in the prestigious list THE BEST, the TOP farms and read about all the “MADE WITH LOVE” FARMS. 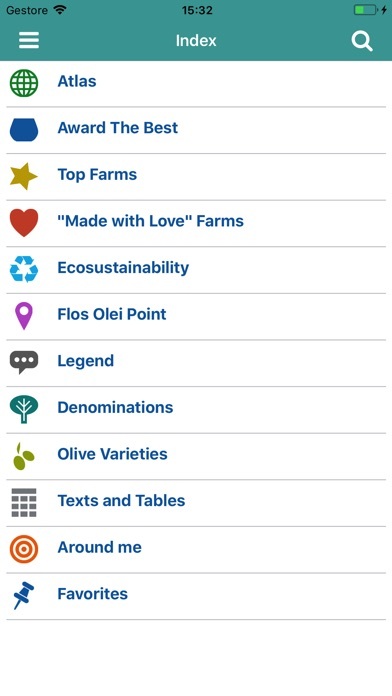 You can also find the farms taking part in the project Flos Olei Point and buy the products with the label FLOS OLEI. 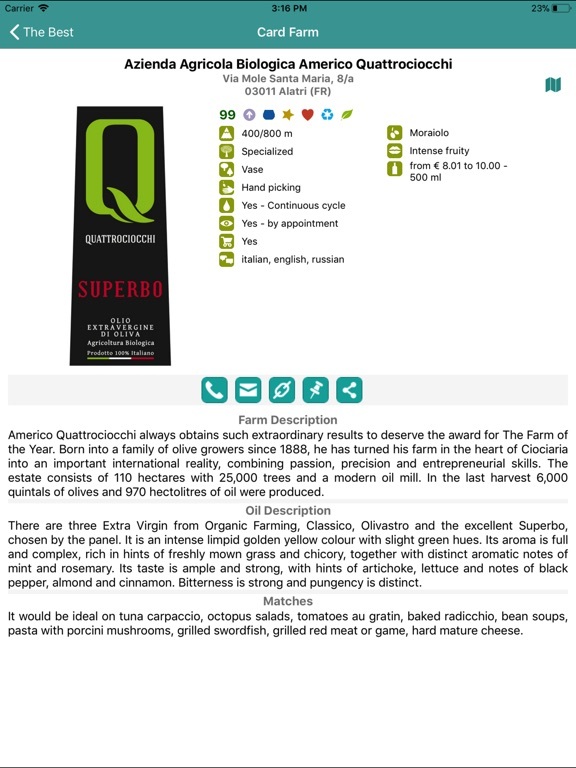 • Know the main European denominations of origin in the oil sector. 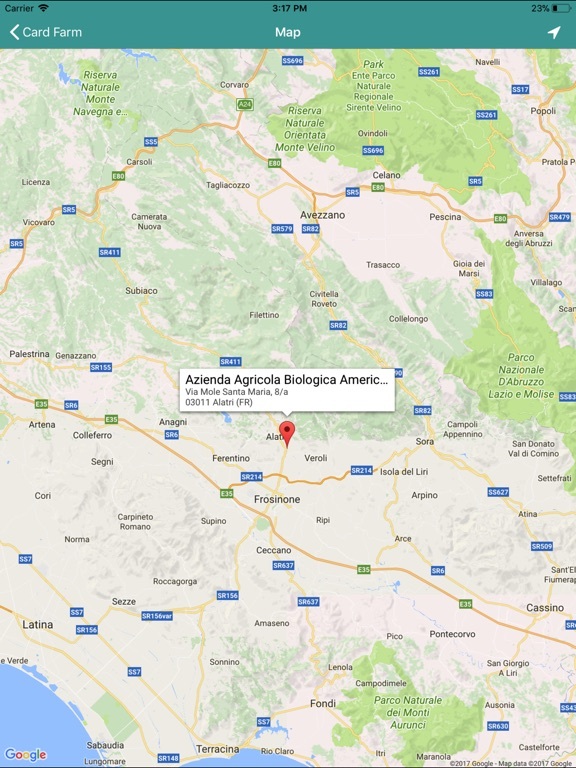 • Find every farm located on the map thanks to georeferencing data and discover the routes to reach it. 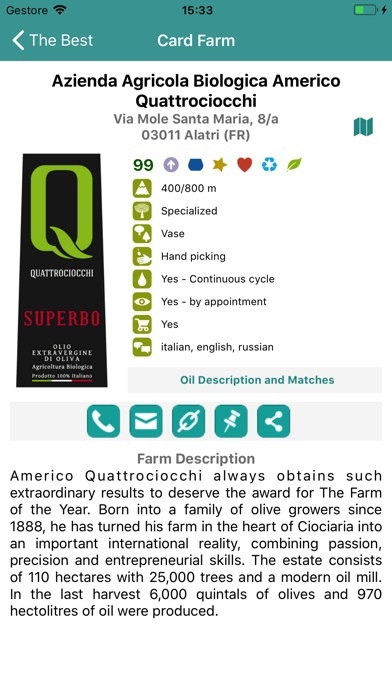 • Learn everything about the existing oil varieties through a list of over 150 cultivars including their description, organoleptic notes, origin and diffusion. 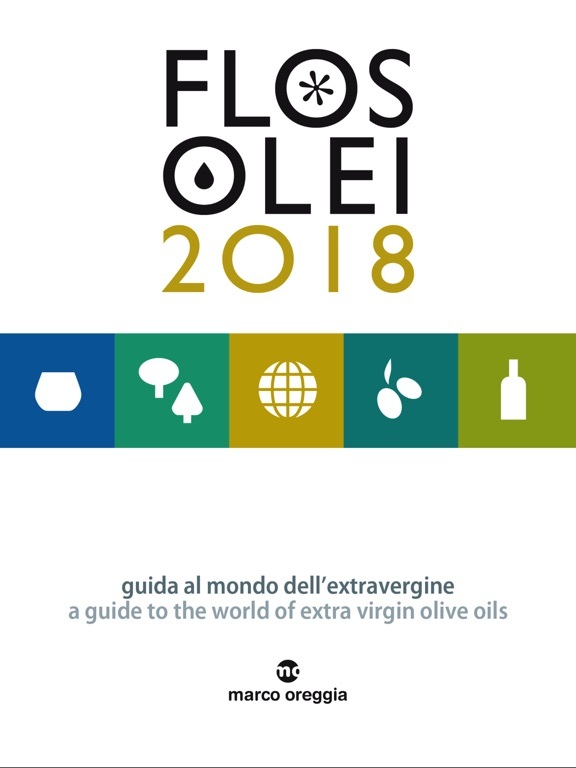 • Learn the extra virgin olive oil tasting techniques. • Consult an easy glossary of the most common terms and phrases in this sector, including over 100 entries. 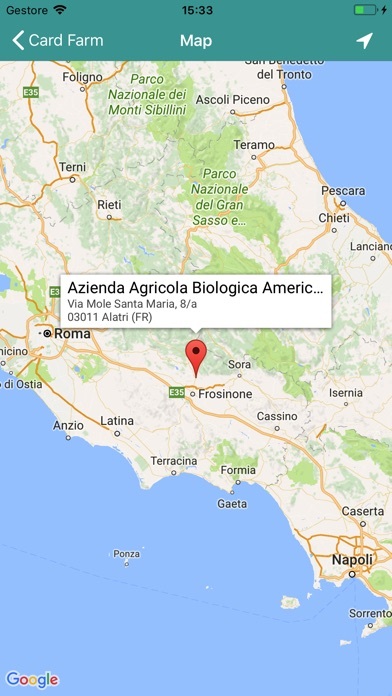 • Spot the farms that are “around me” in a radius of 100 km. • Organize your trips according to the oil farms present in your area. • Save your favorite producers to have them at your disposal any time you need them. 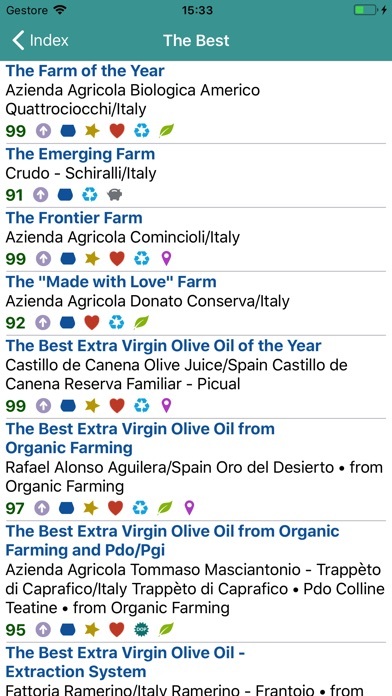 • Look for one of the extra virgin olive oils included in the book according to farm name, geographical area, ranking, price range, intensity of fruitiness, denomination of origin, from Organic Farming, value for money. • Connect with the leading social networks on Facebook and Twitter to share your favorite producers.